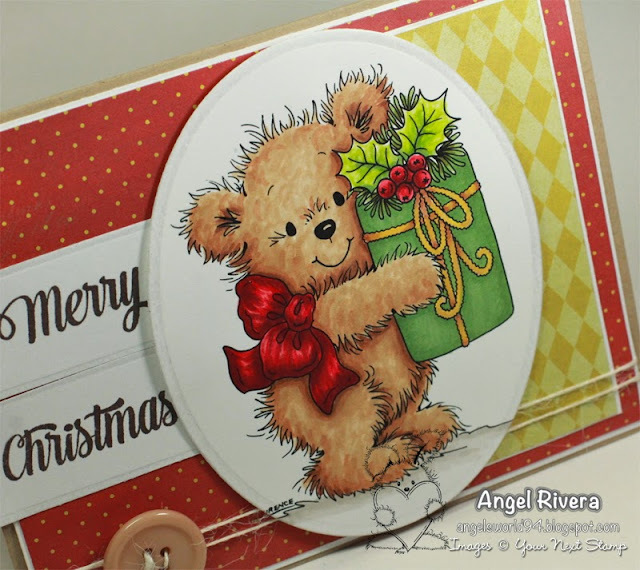 Happy Holiday - Your Next Stamp Sneak Peek Blog Hop!!! Welcome to the YNS Holiday Preview Party Hop! new holiday digital stamps along with some very special guests! Penny & Laurence of Omnia Designs! Would you like to earn an EXCLUSIVE FREE YNS digi stamp!? The party begins on Nicole’s blog where you will pick up your first letter to build a phrase, which will enable you to get an EXCLUSIVE FREE digi from YNS. There will also be 10 randomly selected winners from the comments that will each WIN ONE FREE DIGI of their choice. Please hop to Nicole's blog for more details! 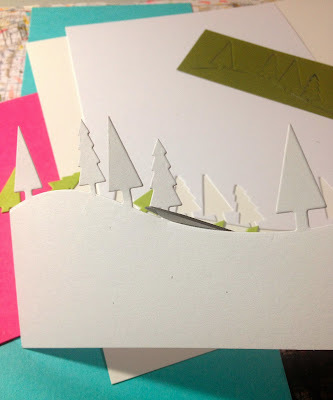 For my card, I used the Looking Chic digi. She and her pup are so sweet, I couldn't resist her! I colored her with copics and added stickles to her purse. I added a stippled, or dotted, sort of background with copics, as well. A bit of pink lemonade ribbon, brads, and a button with thread add the finishing touches. Winners will be posted at our online FACEBOOK release party, December 1st @ 7:00pm EST on the Your Next Stamp Facebook fan page. Winners will also be posted on the YNS blog. This code is valid on all YNS products and is good from now until after the new digital stamp release goes live on Sunday, December 1st @ 8:00pm EST through December 4th, 2013. Thank you so much for joining our YNS Preview Party Hop! and you can click on the link below. Hi all! 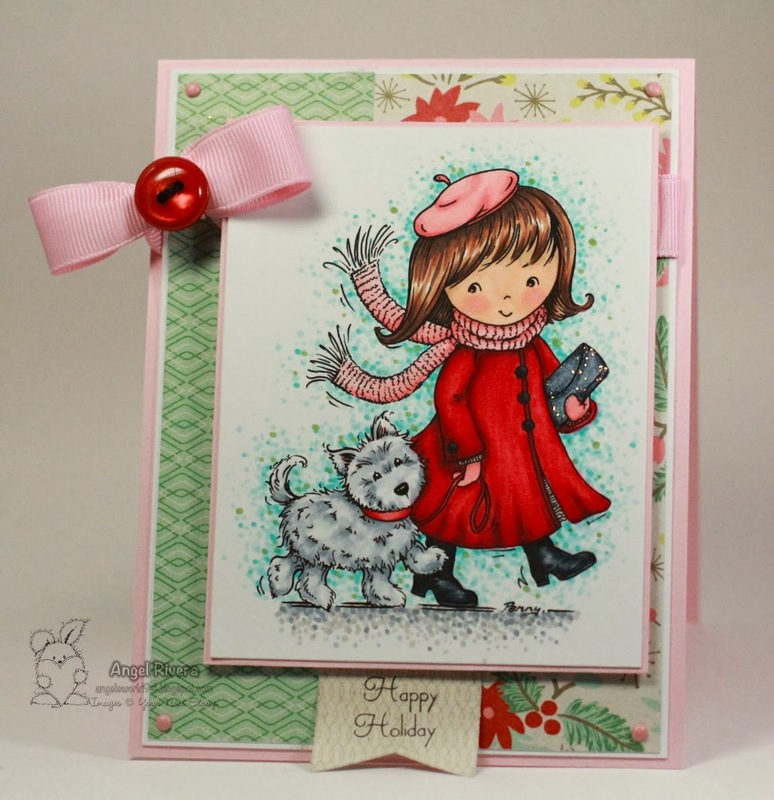 I wanted to share this card I made using the sketch from this month's Dirty Dozen gallery theme on SCS. This is my first time using MFT's new Sheet Music Background stamp - it's SO pretty and adds the right touch to any project! The ornaments from the Ornament Banner Builder were stamped in sno cone, razzle berry and wild cherry. I used the Pierced Circle STAX and one of the regular Circle STAX to create the 'window'. 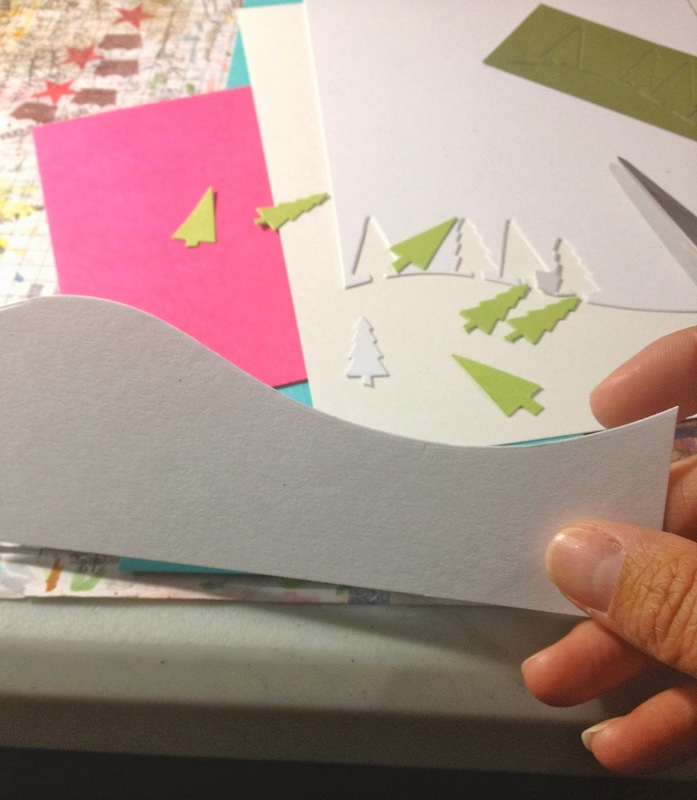 They were cut out using the Ornament Banner die-namics. I then brushed on some glitter glaze to add some sparkle. The sentiment is from the Clearly Sentimental about Christmas set, which I cut out using one of the elements from Blueprints 1. Your Next Stamp Fun Friday and SACC - Merry Christmas! Thanks for stopping by! Be sure to stop by the YNS blog and the SACC blog to play along with the challenges - there are prizes to be won! Hi all! Here's a card I made for the MFTWSC150 challenge. I used a few new MFT goodies - DG You're the Coolest, the scallop from Blueprints 9 die-namics, and the woodgrain background stamp! I used my copics again on this DG, fussy cut her then popped her up on pop dots. I used one of the mini doily circles which is behind a pierced circle also stamped with the woodgrain stamp. The sentiment (cut out withe my fishtail flag STAX) is from the Cheerful Christmas Greetings stamp set - I just love the font! I kept the grey horizontal strip plain to give your eyes a rest from all of the busy patterns. A little white and grey twine add the finishing details. The color combo is the CC452 over on SplitCoastStampers. Hi all! Here's my card for this week's MFTWSC149 sketch. I colored this cutie PI, Happy Christmas, with copics, then fussy cut her. 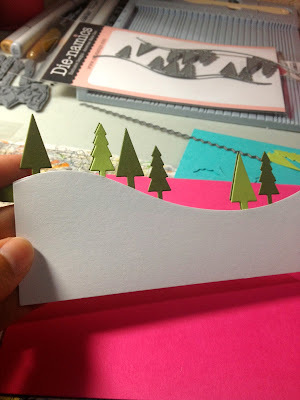 The snow drift was created using the tree lines die-namics ( a little picture tutorial below... ). I used the peek-a-boo dots die-namics on the sno cone cardstock, which I layered over sweet tooth cardstock that I brushed with glitter glaze (which served as the adhesive for the sno cone cs, as well!). If you look closely, you can see the sparkle from the glaze. The razzle berry dots were stamped using the large scale backgrounds. I added a sweet tooth felt heart, blu raspberry button with some twine for extra detail. Then I cut some sour apple trees and adhered them slightly off-center of a couple of the jellybean trees for a shadow affect. Voila! Hi all! Happy Friday! Is the time flying by or is it just me?! Crazy that Thanksgiving is just WEEKS away! GAH! 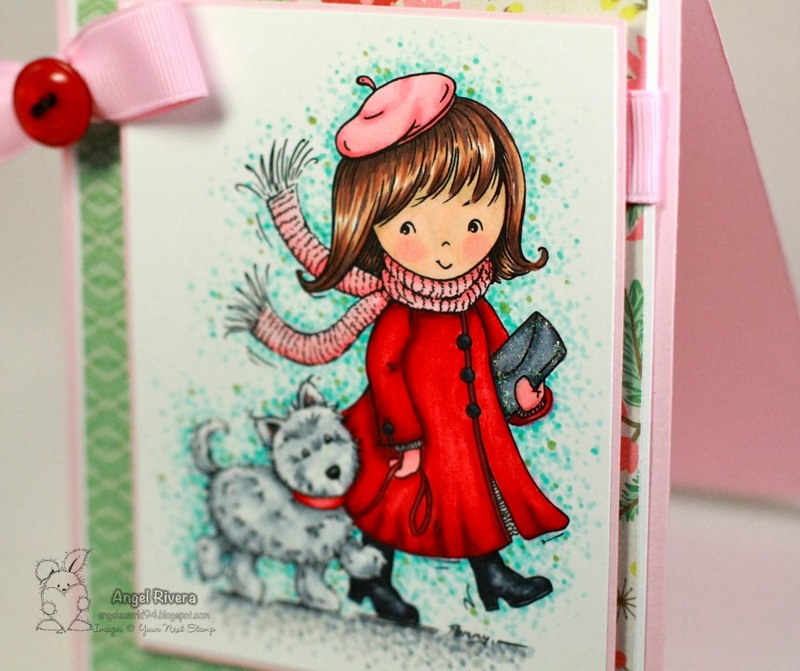 Alrighty, here's my card for this week's YNS Fun Friday challenge and also for the Sister Act Card Challenge. I used the NEWLY release digi, Gretchen with bird on my card - love her! I colored her with copics and also used them to added a dotted background around her, then used an SU marker for her freckles. 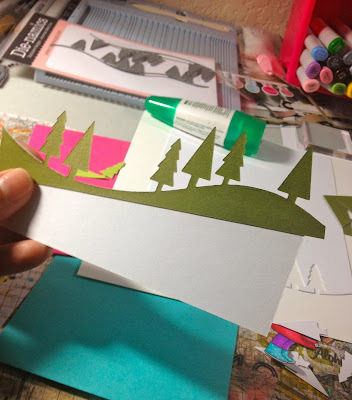 The plaid pattern on the sno cone strip is from the More Washi Patterns stamp set from MFT. The sketch is the current YNSFF sketch challenge - play along for a chance to win! The sentiment is from MFT. My 'snowflake' is actually a flower die-namic from MFT. I spritzed it with shimmer mist but it's not noticeable in the pics. I added a scalloped die-namic, some twine and a button to finish it up. Hi all! I wanted to share this card I made for this week's MFTWSC148. I used the super fun Ornament Banner Builder and matching die-namics! The sentiment is also from this set and I cut it out with one of the elements from the Blueprints 3. The little leaves are from the Christmas Ornaments die-namics and I added a "brad" berry. I used electric red, blu raspberry, and razzle berry inks for a fresh color combo. A little paper piercing and voila! 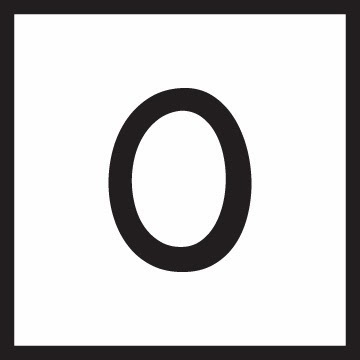 Oh, and this card measures 4 1/4 x 4 1/4.